The Canadian Premier League is pleased to announce the addition of Ontario Soccer’s League1 Ontario to its operations. 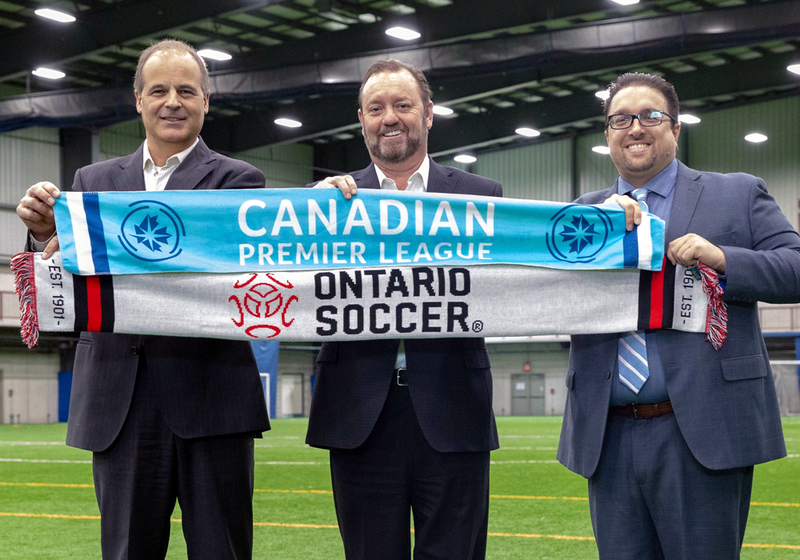 The move creates a deeper association between Ontario Soccer and the Canadian Premier League and the new structure of the league puts a focus on young soccer players in the largest provincial soccer association in Canada. Starting in 2019 this ground-breaking arrangement will allow the Canadian Premier League, in its entirety, to facilitate the continuing development and growth of League1 Ontario. This unique model will become an integral part of the CPL and will provide future opportunities for players who are not quite ready, to further develop their skills and find success in the professional game. League1 Ontario is the only Pro-Am standards-based, league in Ontario. Founded in 2014, the league began with a ten team Men’s division, which by the 2018 season had grown to 17 teams and included a separate 13-team Women’s division. Over 100 men and women players have now graduated from League1 Ontario to professional environments around the world. “This is an exciting development for all League1 Ontario stakeholders and will prove to be a natural evolution for our organization, which has been laser focused over the past five years on graduating Ontario’s top footballers to the next stage of their soccer careers,” said Dino Rossi, League1 Ontario Commissioner. League1 Ontario is the only professional-amateur, standards-based, league in Ontario. Founded in 2014, the league began with a ten team men’s division, which has now grown to 17 teams and includes a separate 13-team women’s division. League1 Ontario serves as a stepping stone between the youth, amateur ranks and the professional environment. Sanctioned by Ontario Soccer, the league’s focus, first and foremost, is the development of Canada’s future stars.